The latest Goin’ Across the Mountain will be printed on a Recover Brand t-shirt that features the Class J Steam locomotive 611 that is an icon of the Virginia Museum of Transportation on the front. The show title "Goin' Across The Mountain" is above the train image and "Saturdays on WNCW-FM 88.7" is below the image. The No. 611 was one of fourteen Class 'J' passenger locomotives built for the Norfolk & Western Railway between 1941 and 1950 and the only one in existence today. 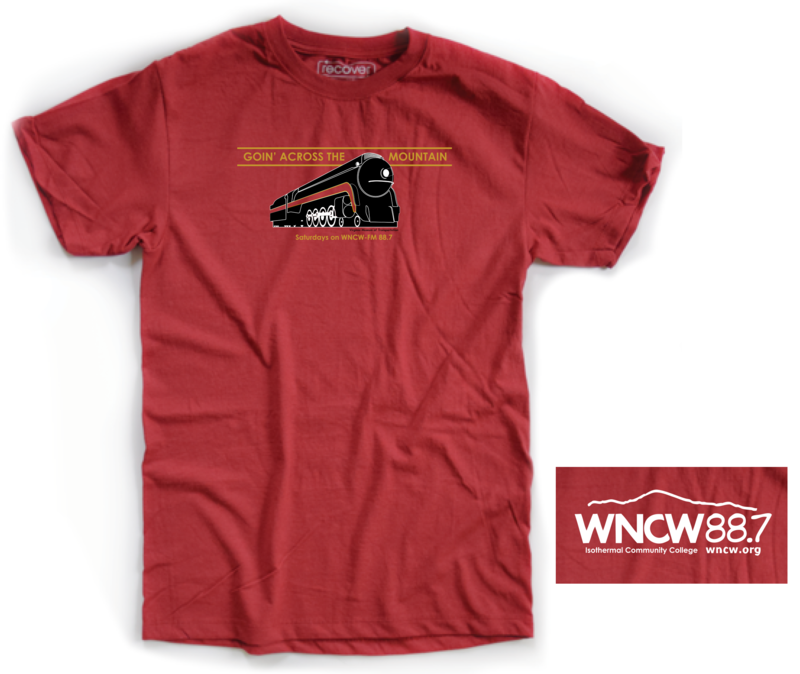 We appreciate the Virginia Museum of Transportation providing WNCW with permission to use the 611 image on the newest Goin' Across The Mountain t-shirt.